Do you know what I hate most about winter? The TV! I feel like we are so couped up and run out of things to do and just turn to the tv to entertain us. Well I am going to make a real effort this year not to let that happen. Even if I have to put on my battle gear to fight the rest of the family off the remote control. One against four, I bet your wondering how I can overcome those odds. It's simple. I have a secret weapon. ROCKS! No I am not going to throw rocks at my family--although the thought has crossed my mind from time to time. I'm telling you now so you and your family can take a few hikes while the weather is still bearable. Gather some cool rocks. The lighter in color, and smoother, the better. Then store them away until the kids get their first snow day off school. Put your clean dry rocks in a 300 degree oven for about 10 - 15. Not to hot or to long. My husband tells me they will explode. And while I have dreamt of blowing up my oven so I don't have to cook dinner anymore, I choose to take the more mature and responsible approach. While your rocks are becoming semi-explosive get out your old and broken crayons. We save all those crayons they give you at restaurants or that the kids bring home left-over from the school year. Take off the wrappers and set aside for a future craft. You'd be surprised how many different activities these crayons come in handy for. Turn off the oven but keep all the rocks inside except for the ones you are working with. I use tongs to place each rock on a work surface, aluminum foil, paper plate, wax paper, etc... Touch a crayon to the rocks and watch it instantly melt and ooze all over. I got this idea from Family Fun Magazine a few years ago. They did it with Easter Eggs and that is the only way we decorate our eggs now. So much fun!! Me and a million other people also figured out you could do it with rocks as I have seen lots of other tutorials out there. Now, go take a hike!! This post is dedicated to my wonderful friend "K" who thought I had been abducted by aliens since it's been so long since my last post. Love ya "K"! Hello. 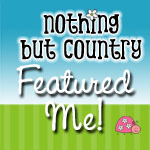 I have been lovin your blog! I too have wondered where you were. I sat up one night and read a ton of your posts. I loved each and every one of them!!! No I am not a stalker! LOL I can't wait to do this with my boy. He is 9 and loves to do crafty stuff. I also found some really good things for his scout den to do as well, since I am the leader. Thanks so much for the awesomeness!!! Your kids are so very lucky to have you as a mommy! Btw they are toooo cute! Can't wait for more! Glad you are back. E loved the rocks and I think T would too. See you finally made me comment on a blog. These crafting ideas are really very nice which are the best efforts of kids.They all are enjoying with it too. Can't believe my eyes. I reached this amazing site and downloaded the app. Truly recommended guys! Is there a sealer you can put on these finished rocks so the crayon doesn't come off? I was thinking of having campers do these in camp. Nowadays, several good, reliable and affordable pet insurance plans are available in the market. These plans cover all the expenses of regular check ups and vaccinations, treatment for diseases of your pet which at times may be complicated as well as expensive, accident related injuries along with illness care. On the other hand, many times it happens that your pet gets lost or stolen. In such cases also, the insurance will cover the charges of putting pamphlets and advertisements in the newspaper and television. Moreover, these policies also offer various levels of expenses depending upon the cost. So whatever may be the need of your pet, you can stay assured that you will find a plan that suits you. All top dog insurance companies try to minimize their risks in order to stay profitable. They do provide a fair amount of health coverage, but they try to exclude more expensive illnesses such as cancer treatments. Each pet is different and your dog may have different considerations than another dog. Be sure to read the fine print so you will know exactly what coverage you are getting. Exclusions:Make sure to understand the limitations of the policy; all insurance policies have exclusions to help keep costs down, such as exclusions for: hereditary conditions, chronic illnesses, cosmetic procedures, or alternative treatments. Often the health issues that are likely to affect the breed of pet may be excluded from coverage; also, preventable diseases may not be covered if the pet did not receive the recommended vaccinations, or accidents, if the owner was not following the leash law. If you are going to ask for recommendations, make sure that you also ask pet owners who have had their pet insurance for a long time. That way, you can be sure that what they will be sharing with you are things that they have actually experienced. Also, ask them anything about the policies. They will be able to tell you and explain to you in great detail than maybe someone who is selling the pet insurance. If an accident victim is forced to take out a loan to cover these additional expenses or if he or she misses payments on his or her existing bills while paying for these expenses, the effects of this will quickly be seen on a victim's credit report. Every new loan can reduce a credit score by at least ten points or more, while a missed payment will typically reduce a person's credit score by 50 to 150 points. A lower credit score will make it more difficult to get a new loan, find a new job, or even qualify for the best rates on car insurance. Ideally, you want to choose an insurance provider that will write a policy that pays out on a set schedule of benefits, not merely a certain percentage of the veterinary bill. You can plan for your pet's care if you know up front what services are covered and which ones are exempt under the policy. The premiums should remain stable throughout the term of the policy, with no increases as your pet gets older and presumably may have higher claims for medical care. Canine and feline medical insurance works somewhat like health insurance for people, except for one BIG difference. Regardless of the company that you select, you will be expected to pay for the vet bill in full. Then you submit the paid bill to your insurance company, and they reimburse you the amount that is listed in your contract. So, if an illness, accident or emergency happens, you need to have a way to pay the vet bill upfront. This is the opposite of many health insurance plans for people, in which you pay a copay at the time of services and the doctors bills your insurance for the balance to be paid. Rae Alvardo Pechnoe otoplenie maloetagnih zdaniy The apps are a mix of free andpaid-for downloads. The Company, along with its subsidiaries, is principally engaged in the development, manufacture, distribution and sale of tires and related products and services worldwide. Repeal the law.